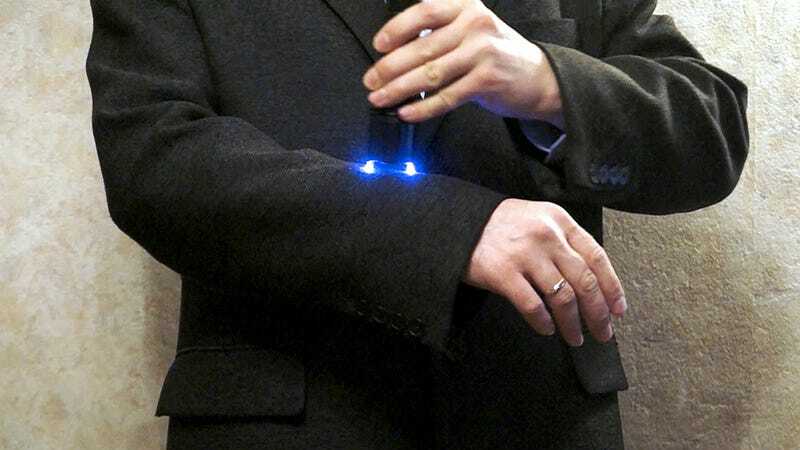 It's no Iron Man suit, but if you've got a knack for civil disobedience and often find yourself on the business end of a Taser, the folks at Hackaday discovered that carbon fiber clothing can actually let you shrug off those electric shocks. To be more specific, they cut open the lining of a sports coat and lined it with endless strips of iron-on no-sew hem tape and carbon fiber tape so that the resulting jacket still had lots of flexibility. The carbon fiber conducts electricity much better than human skin, and since the strips were placed close enough to let the juice flow between them, they were able to dissipate the charge without shocking down the dapper-looking target.